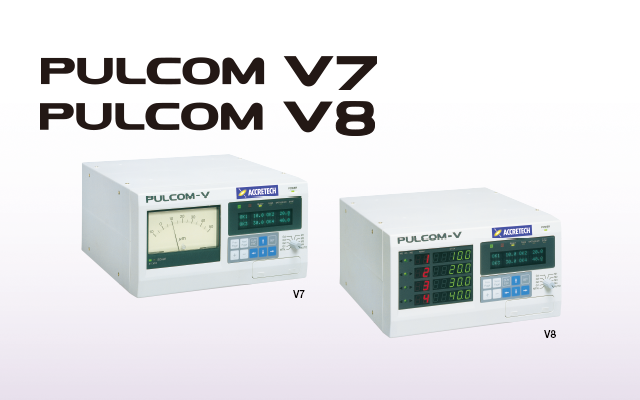 PULCOM V7 / V8 In-process, Post-process indicator control units | TOSEI ENGINEERING CORP. Besides all the standard functions such as calculation and correction, a wide range of functions can be added with optional software. Two models are available: V7 mainly for in-process machining (analog meter model), and V8 mainly for postprocess applications (LED digital model), with both models ready for both in-process machining and post-process applications. PULCOM V7 and V8 have 2 or 4 CH models. They can do calculation and judgment of maximum four measurement items simultaneously. PULCOM V7 for in-process machining has a large analog meter and digital display. PULCOM V8 for post-process application has LED digital meters. The rotary switch makes it possible for an intuitive operation. A fluorescent display with superior visibility shows the measurement result, judgment, correction value and setting data. They can be used to replace the U2000A in most cases.